The Creative Production Lab is a place where patrons can receive one-on-one help to explore their creative interests and learn how to use cutting-edge hardware and software. Select a photo to learn more about a service or to submit a request. Intested in touring the CPL? 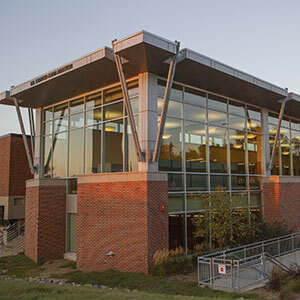 Library tours are ideal for students new to UNO and anyone interested in learning more about the Library. All tours begin at the Main Service Desk, located on the second floor. Tours are available by appointment; please fill out the request form to book your tour.